If you’ve developed a strong marketing strategy, compelling content and have executed consistently but are not capturing the clients that you want, Account-Based Marketing (ABM) might be an element to add into your marketing mix. It might be that your marketing plan is too general and casting too wide a net, generating leads of all kinds-qualified, unqualified, too small, too big-rather than the leads your company wants and needs. This is where an account-focused strategy can help. All in one concise, free checklist. 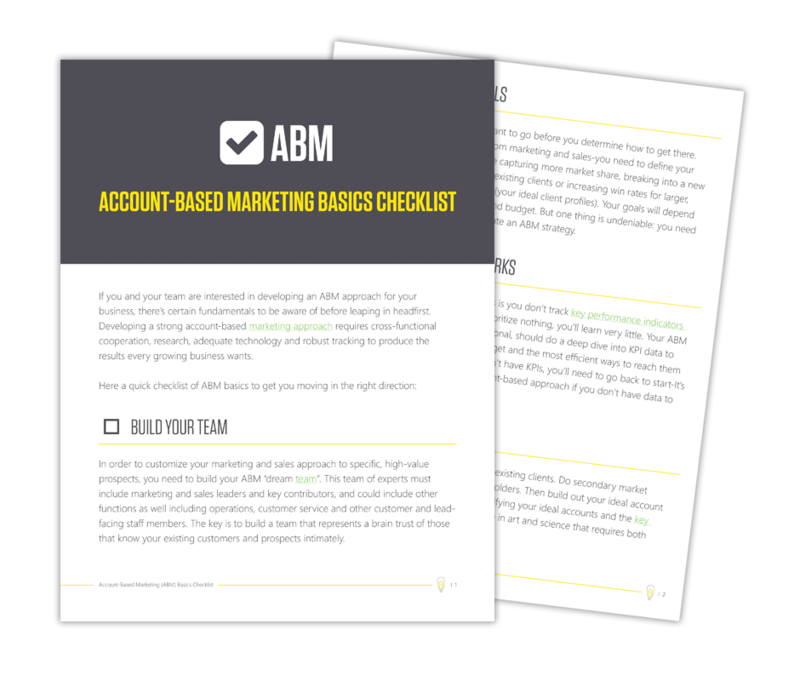 Take your business to the next level by downloading the Account-Based Marketing Basics Checklist via the form on this page.